SHACKLED: Barry Dataram in custody following his arrest in a house at Latour, southern Paramaribo. 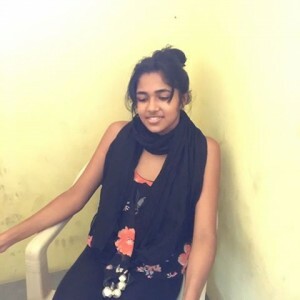 Convicted drug baron, Barry Dataram, and his wife, Anjanie Boodnarine, are back home and they had in their possession bogus Guyanese passports. 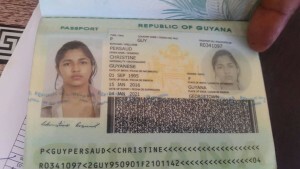 They are in the names if David Persaud and Christine Persaud. 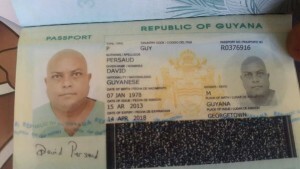 The passport in the name of Persaud was issued on January 15, 2016 and the other in the name of David Persaud was issued on April 15, 2013. Dataram and Boodnarine were arrested at house at Latour in southern Paramaribo, the capital of that former Dutch colony. Surinamese police handed over Dataram and Boodnarine to Guyanese law enforcement authorities Saturday morning. They crossed on the Guyana-Suriname ferry and arrived at Moleson Creek at about 9:30 AM. 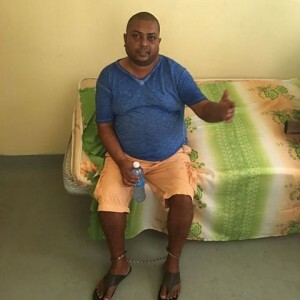 Dataram was convicted on September 27, 2016 and jailed for five years, while Boodnarine and two men were set free because, according to Magistrate Judy Latchman, there was no evidence to tie them to the cocaine that was found at his house at Diamond. The United States has long unsealed an indictment and had requested his extradition unsuccessfully several years ago.